Every project has the potential to be more than just ‘good enough’. The architect’s job is to reveal and fulfil that potential. To design a building that answers both your immediate and your future needs. A home should feel like home – not just a house. An office should enable your best work. Healthcare spaces must feel safe and reassuring. A sports facility should be inspire outstanding performance. I’ve designed all these forms of building, and more, over 25 years in private practice. 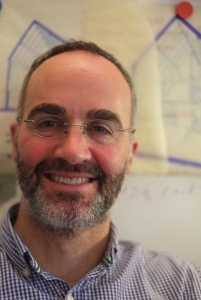 I formed Gavin Pearce Architects in 2012 to provide a high-quality, creative, personal design service. The highest standards depend on an exceptional team. Sometimes, that team is simply architect and client. But usually it includes engineers, surveyors and builders. However many people are involved, I aim to build positive, open relationships – the key to a successful project. I’ve never restricted myself to any one architectural style. If a building needs to reflect its context, it should be allowed to do so. If there’s an opportunity to express the times, we should explore it. Every site has its own opportunities and constraints. As an architect, my job is to respond to the site and your brief, delivering a solution that balances quality and value. The obvious answer isn’t always the best one. So I’ll carefully analyse your site, and your needs, to be sure of a result that delivers beyond your expectations – now, and for many years to come.